Sasha Dza is an electronic music producer from Moscow, Russia. As one of the first in Russia to begin experimenting with a new form of instrumental hip-hop, he has been perhaps the most prominent face of a genre that is swiftly carving out its own niche in the world beatmaking scene. He is the founder of the well-know Russian musical community How2make Crew, which has organized crazy parties in the most unusual places, staged what could be the world’s first successful “hip-hopera” and toured throughout Russia and Europe. 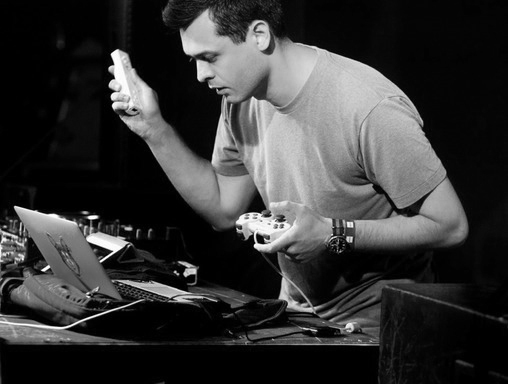 After being selected to participate in the 2010 Red Bull Music Academy in London, he signed record deals with Error Broadcast and the Bristol-based label Black Acre. A cassette-only version of his now-legendary beat tape Five-Finger Discount was released by Error Broadcast last year, and Black Acre has issued a 12” featuring Sasha, fellow Moscow musician Mujuice and L.A.-based rapper Non Genetic. For such a short musical career, Sasha has proven himself to be extremely prolific, producing countless tracks of his own on a daily basis and doing remixes for a variety of artists — from American and Russian underground rappers to the British heavyweight Hudson Mohawke. Dza was also prominently featured in last year’s extensive feature about the new Moscow electronic scene on the famous American music site Pitchfork.com. electronics.